The first spirit to come off the Wood Bros still is wrapped in a navy and copper Royston label. It’s packaging as stylish and modern as the vodka within. Wood Bros Distilling Company is an independent distillery founded by Ed and Charlie Wood, brothers who come from a long line of farmers. Seeking a new project that would make use of their farming expertise and equipment, the Wood brothers turned their attention to spirits – with an initial batch of vodka coming off the still in early 2018. 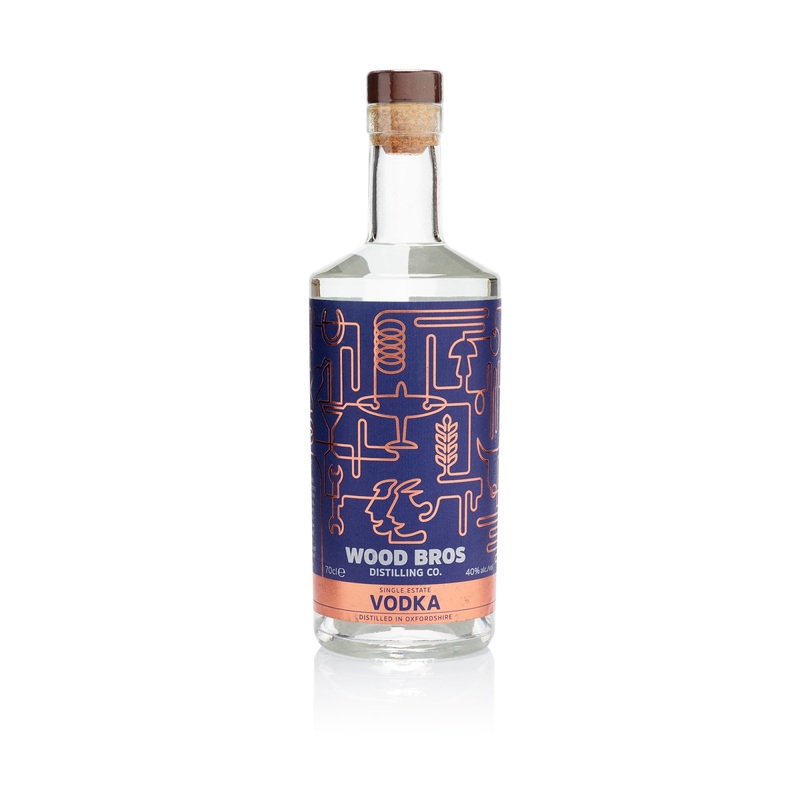 Wood Bros Single Estate Vodka is made from winter wheat grown on the family farm and distilled in stone granary barns. The resulting drink is rich with creamy flavours of vanilla and caramel, and is best enjoyed sipped over ice or mixed in a classic martini. 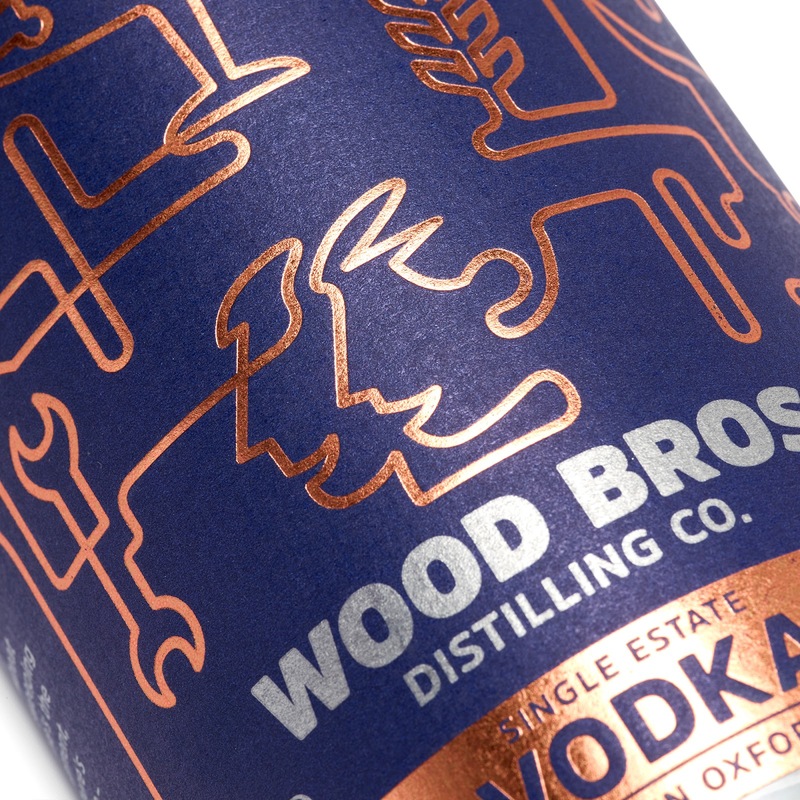 For the Royston team, it was an honour to be invited to manufacture the labelling designed by Pencil Studio for Wood Bros’ first ever release. Working from a sophisticated and modern brief that hints at this special drink’s origins, we set about manufacturing a high quality label that would do justice to this unique small batch vodka. 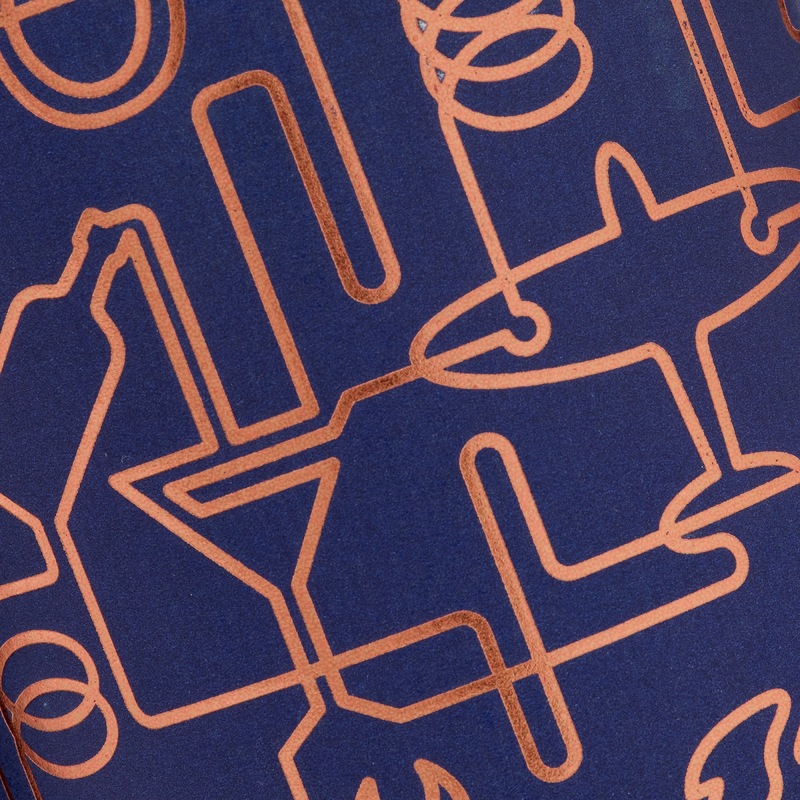 We printed onto navy paper stock, embellishing the matt background with hot copper foil. 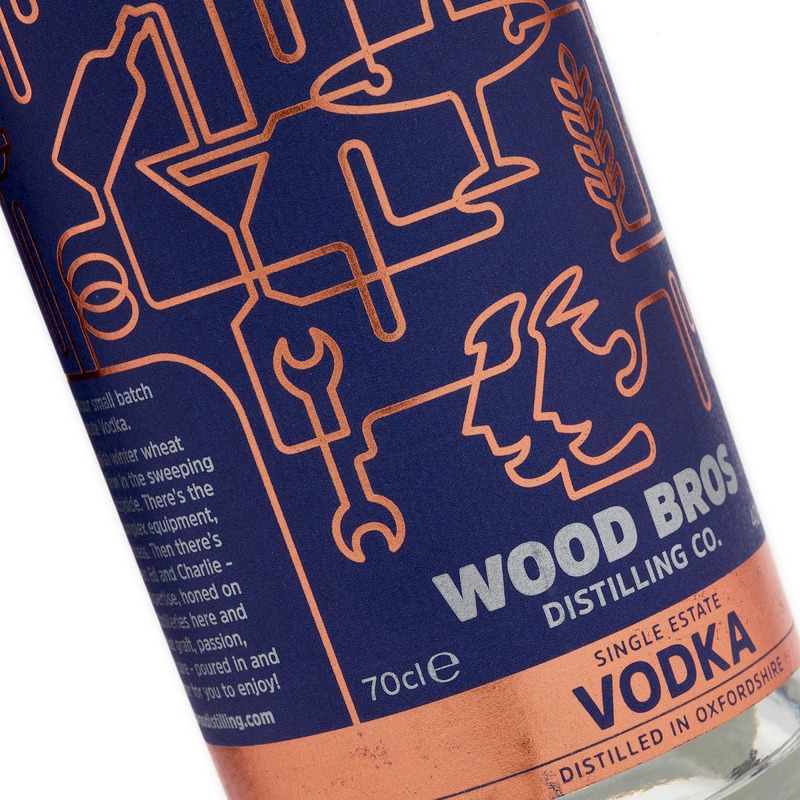 The design depicts a diagram of a still, inventively modified to pay homage to the Wood brothers and the farm where this vodka was brought to life. 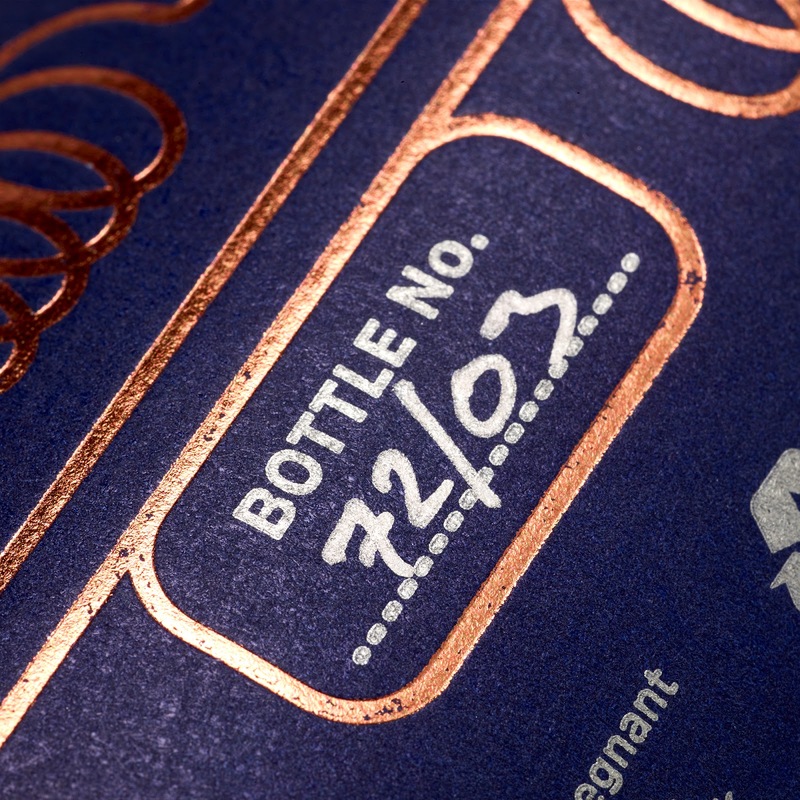 Our use of copper foiling is a direct nod to the distillery’s Carter Head Still, which contains 42 copper plates. The contrast between the foil and the paper stock also adds an appealing textural quality. 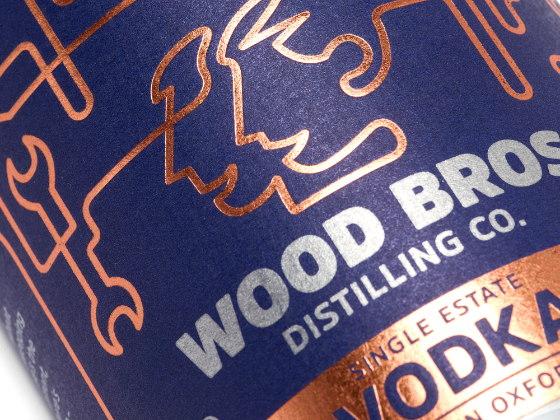 As a last flourish, the label bears the Wood Bros branding, marked out in eye-catching metallic silver ink.